Beautiful Incentives: #FREE #DoctorWho Kid's coloring book pages! 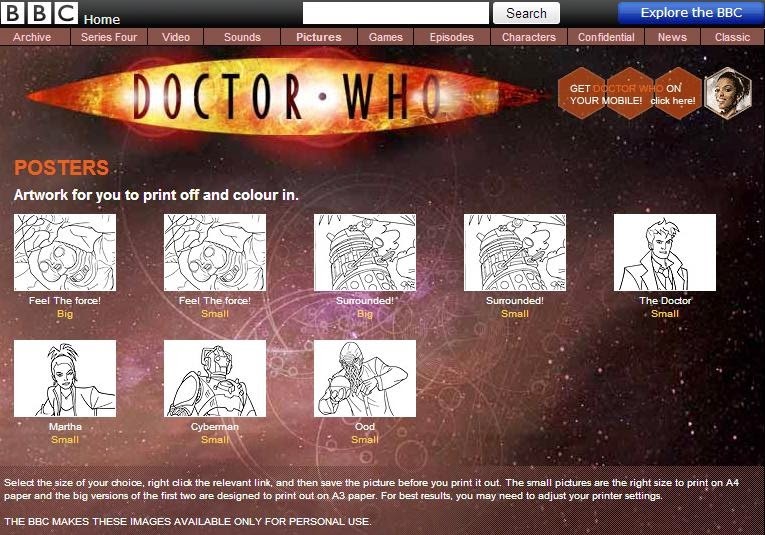 #FREE #DoctorWho Kid's coloring book pages! Do your children love Dr. Who? Why not print out these awesome coloring book pages for them to enjoy and learn from! Courtesy of BBC! Want More Doctor Who stuff? Sure you do! Check out these!